You are here: Home / Sluiters / Katie / upgrading, yo. Next week Cortney and I will be eligible for new phones per Verizon. In Sluiter Nation where the tech geeks roam that date is on the dang calendar because NEW TECHNOLOGY AND GADGETS AND WEEEE!!!! And to be fair I started crabbing about my Galaxy S3 being a dog a couple months ago. A couple updates made it better, but still. I get stabby when my stuff is slow. Anyway, a few weeks ago I got to tour the new Verizon Smart Store and I got to talking to their PR about what nerds Cortney and I are and they offered to send me a couple devices just to try out. Even said I didn’t have to blog about them, but hey…I’m a nerd, so I’m sharing them with you. 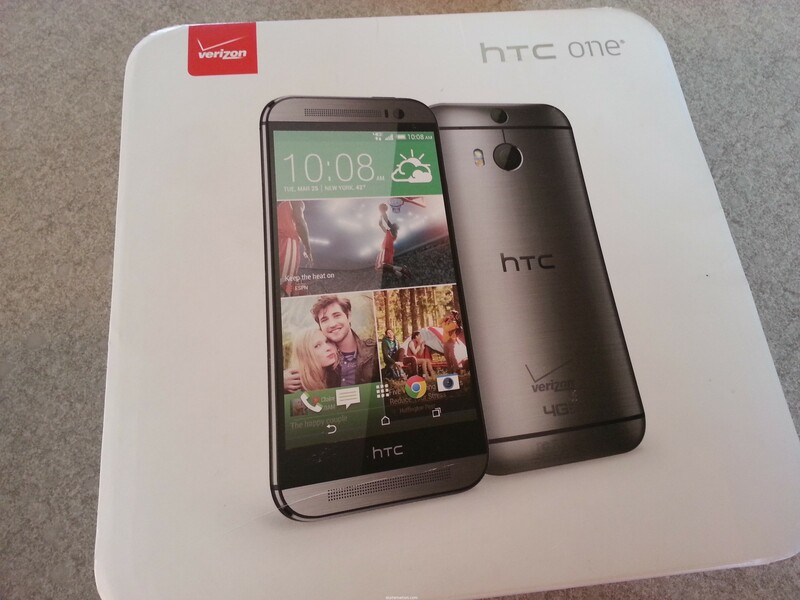 Cortney and I were pretty sure we were going to upgrade to the S5, but Verizon sent me the HTC One to try out. I was skeptical. It is just as thin (if not thinner) than my S3, but the screen is much bigger. The week or so that I used it I realized quickly I would need a case for it because it kept sliding out of my hand because it’s so shiny and new and slippery! 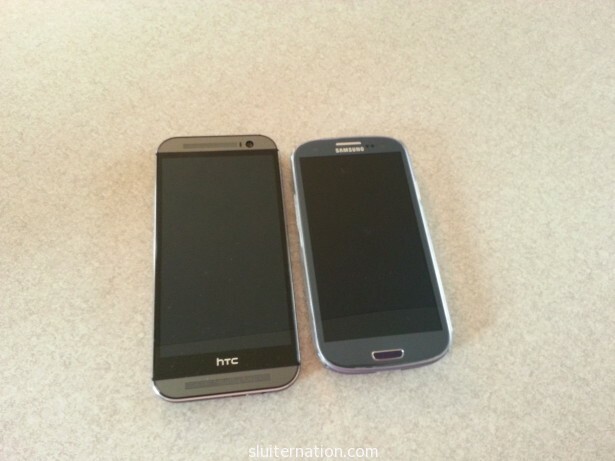 HTC One on the left, Cortney’s S3 on the right. I liked quickness of everything (which I suspect the S5 will have too since my S3 is dying a slow, obsolete technology death), it’s interface (which was extremely similar to the Samsungs), and the weight. My favorite part was the interactive home screen that I had Weather Channel, CNN, and other news feeds go to. I could check out all the news from the home screen of my phone! But with one swipe to the side, my home screen could also be a traditional one with all the apps on a background picture of my boys. I like it. I still want to check out the S5, but know I know there are some super great phones out there other than Samsung ones. We also got to play with try out a Bose Soundlink Mini. 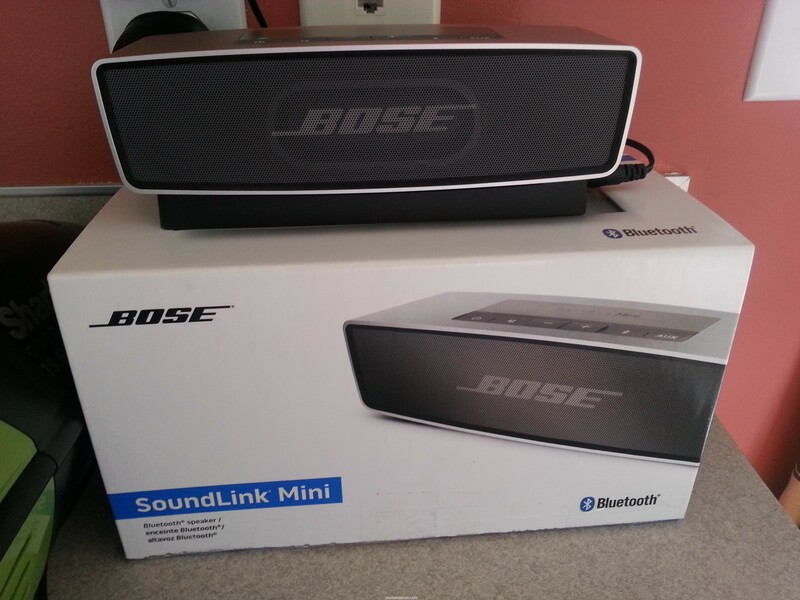 I saw these when I was on the store tour, and I asked about them because Cortney and I had talked about getting a wireless speaker of some sort that we could use with phones or whatever. Neither of us have tons of music on our phones currently because we never use it, but if we had a speaker we might. This little speaker is amazing. In Cort’s words, “It really bumps!” For being so tiny that little sucker sure emits a LOT of sound. Quality sound. And it’s portable! We set it on it’s little charging station and then we could connect it via bluetooth (which means we could connect it to our computers as well as our phones) to Cortney’s phone. In no time, the Black Keys were serenading our dinner. And we could easily move it around because hello, lack of wires. We immediately saw the potential for garage tunes, lawn tunes, and patio tunes. So besides new phones next week, I’m pretty sure Cortney is going to start budgeting for one of these bad boys too. Speaking of those phones…what do you have? Do you love it? I’m still leaning toward the S5, but I want to hold it and make sure, ya know? Disclaimer: I was not compensated for this post. I was sent the technology to experience with no requirement of needing to blog about it. I just did because I like to know what you think. Tech geeks unite, yo. I have a Samsung S4, my husband uses a Google Nexus, and my sister has the HTC One (I think! ), and yes, Androids rock! Super cool! My S3 is starting to drive me crazy – I’m hoping there’s an upgrade in my future too. I’d definitely stick with the Galaxy or consider moving to the HTC One but I think those would be my top preferences. Loving my IPhone! Wonderful after crap Blackberry. Hubby has Samsung and loves it. I have an S4 and I love it, but I am no tech wizard. I’m probably only using a fraction of my phone’s abilities.